I have a collection from 2015 before I knew what I was doing. (collection fell off 1/19.) See ya!!! 2018 I decided to get a $200 secured capital one card that is still secured by the way. 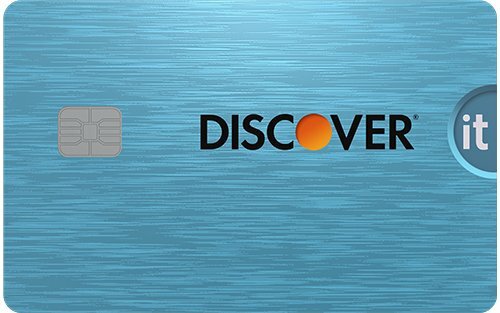 (Only one)..
That brought my score up which allowed me to get a discover secured card in May/18&nbsp; $200 which is now unsecured at $2,000 (right at my 8th statement). Also have a cap1 Q's $500 6/18. Later in June I disputed my collection which made my score go over 740! ( Until results of dispute brought score back to reality) I took advantage of it applied at DCU refinance my car down to 2.74 from somewhere in the % 20s (Wich savedsme $1500 in interest. Also a Dcu i$3,000 Visa. I just had my first son with my fiance and I know I should be gardening right now and that's what I'm going to try to do since I just took advantage of 0 % APR DCU visa until July. My question is would it make sense 2 save myself money in interest and wait in the garden until July and hope for another 0 intro APR card which I know I should qualify for? Or go for the us bank pre qualification for 0 Apr for 15 months? I mean I should probably wait since I have 0 Apr for 5 months. There will most likely be better offers for me then. I think the hardest thing by far is to garden. At least when it comes to credit. Is us bank a good bank? My fitness goals are to buy a house and ultimately obtain excellent credit. Things i need to work on are increasing my credit age and allowing the 8 accounts with 90and 120 day lates from 2013 & 2014 from Nelnet to fall off. I have reached out to them because I don’t think they are quite accurate as there was an overlap in my account transfer from a different lender. So far I’ve been unsuccessful but it would be great if they come off before the 7years. I also contacted ACS about the issues i had with some of their late information on my report and found out they went out of business. I was able to get that late deleted... (same time frame as Nelnet delinquents), but I was a little upset because they deleted the whole account including my years of on time payments. I was beyond upset because my score dropped. Will keep you posted! I'm happy to be joining the challenge this year! I have one primary financial goal this year and that is to purchase a home. I wasn't planning on doing this until June of 2020, but my timeline was moved forward by a year. The home that I'm purchasing is my mom's in which I will be receiving substantial equity ($150000 mortgage on $400000 property) as an early inheritance. She will be remaining in the home and moving into the walk-out basement apartment and assisting with monthly expenses. I'm selling my current home to my neighbors who have recently divorced but have a young child so that dad can remain close and have daily involvement with their child. This is the reason for the advanced timeline. I'm interested to see how aging my credit, dropping inquiries, and paying off debt will improve my scores. My middle mortgage score is 682 and I would love to see it reach 740, but due to my current purchasing timeline I don't think that I can realistically attain that...but we shall see. I'm confident that I can get it over 700 in any case. The only thing that I can manipulate is my % revolving debt which currently sits at 27%. I'm loath to pay down some of this as it is 0% financing. I'll be paying down a good deal of my other debt once I sell my current home in May so hopefully can get down to the 9.5% threshold. The majority of my inquiries will be > 1 year by June. My current AAoA is 2 yrs 6 months, and the oldest acct is 7 yrs 3 months. If I'm am near a mortgage score goal it's possible that I can delay financing by a month or two, but the timing might be tricky as I will also be increasing my debt due to a new student loan for my last year in grad school in August. The student loan is also reflected as a new account and increases my DTI further dinging my score. Secondarily, I would like to see my FICO 8 scores continue to improve. Other than the home purchase and addition of a student loan I don't forsee adding additional debt. I'm on the verge of paying off several cards and will close my Merrick card acct as it has an annual fee and the CL isn't growing. The others I will SD. I also plan on consolidating my Capital One cards into a single card with a modest CL. I'd like to PC my Citi Diamond Preferred to a Double Cash card as I keep getting offers in the mail. I'm hoping to see some PenFed quarterly offers this year and to have my Navy Fed card CL grow as well. My Discover CL has been creeping up slowly and I hope that will continue. If I can get a few of these things to happen in the next 6 months that will help my utilization and maybe get me closer to that 9.5% revolving debt threshold. I appreciate all of the advice I've received from the MyFICO forums over the years. I welcome all advice to help meet my goals. I just trying to repair and grow my score. I can't get siggy to work. I'm a few months in to rebuilding. DH and I have the goal of purchasing a home by year's end! My first goals are 620, utilization below 9% and improved budgeting! My ultimate goal is to be 750+! Excited to join the challenge. I'm new to the forum. I started rebuilding in Oct of 2018 post Ch13. My goal to get into some decent foundation cards in the next few months. Then I will just garden until the end of 2020. The Ch13 should drop off around that time. However hoping to have 700's across the board by the end of this year. My goal is to reach the 700s and app for either the CSP or CSR depending on needs by that point! if I was going to ever be able to move out of my apartment and get even a modest home. Have 1 credit card consolidation loan (cosigned with my mother) with about $7000 balance, @6% interest. Currently have 1 derogatory, a $200 medical bill paid in full as soon as I realized it was in collections, but still on my TU report. EX, EQ are clean. My work in progress - paying down credit card balances obsessively, paying $5-$15 nightly on almost all my credit cards with balances, drawing money out of savings slowly if business does not provide enough cash flow to continue the pace of paydown. I signed up with a national credit repair company for the last 3 months, not sure if I should continue paying them $59/mo, haven't seen them challenge my one derogatory in the last month - what do you guys think? I'm using the Chase Credit Journey feature to keep a weekly watch on my credit score, which has bounced around between 650-690 over the last few months, while the FICO generated on my Citi credit card just recently posted at 609 !!! Not sure why that score is so different from my Chase and Discover FICO scores, but so be it. 3) Reach credit score of 720 by the end of fall, maybe be in position to look for a house before my current apt lease expires in November. Currently I have 6/24 status for new accounts in the last 2 years, and 9 inquiries over the last 2 years. when I login to my Chase bank account, and go to my current Freedom card, it has a 'selected for you' offer for a Chase Slate card, with some nice balance transfer options. Since Chase is selecting it for me, is there a good chance I would be approved, given that I have a current 6/24 status? Just wondering what you thought. I'll try to post every month, and reply to anyone who replies to this thread. Another question, should I just drop my credit repair service after 3 months, or give it a few more months @$59/mo to clean up my last final derog? Thanks again for any thoughts you have! 1. Oct. 2018, entered into Rehab Program with National Recoveries Inc., monthly payments of $5. Last payment should be in July 2019. 3. Applied for and acquired two credit cards: Discover Secured on Nov. 27 and Capital One Platinum unsecured on Dec. 13. My score has gradually increased with the use of my credit cards. Keeping utilization at a steady 3% by pretty much only charging $5 to each one every month. When my Rehab Program is complete, my score should have a significant jump with my loans being in good standing and hopefully 🤞🏿the removal of late/negative payments. I’m a late comer to this challenge but I’m going through a divorce and hoping to start rebuilding. The lates are plenty but thankfully no COs. A few closed accounts but paying them faithfully. It’s all a juggling act right now but learning to manage money as a single woman is a challenge. Here’s to new beginnings!